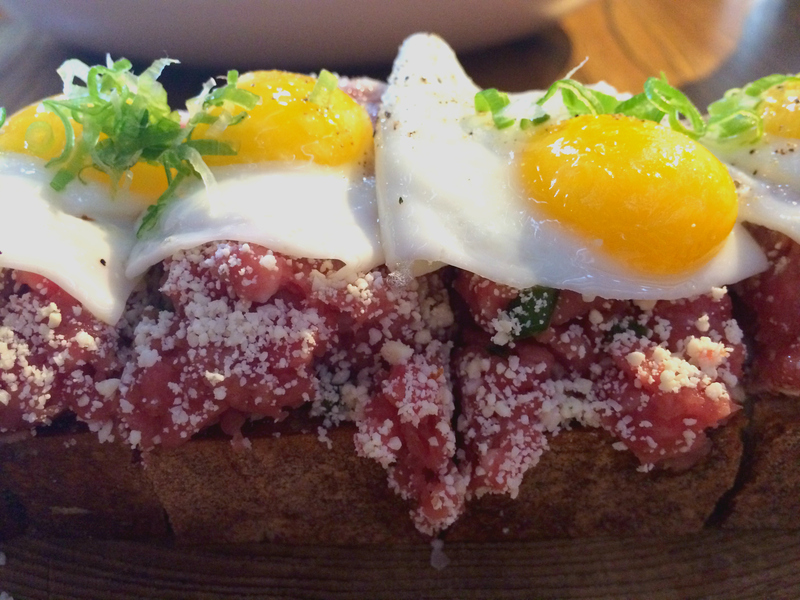 Steak tartare with jalapeño and crumbled cotija cheese on thick slices of toast topped with fried quail eggs. One of the whole reasons I started this blog was to write about the single dish or two that makes it worth returning to certain restaurants. I have breached this rule a couple of times, and I am throwing it out the window completely for Juniper & Ivy. Juniper & Ivy is everything I look for in a restaurant: delicious, fun, surprising, friendly, beautiful, and with a fantastic menu that enables one to try many different things in a sitting (all of them fantastic!!). 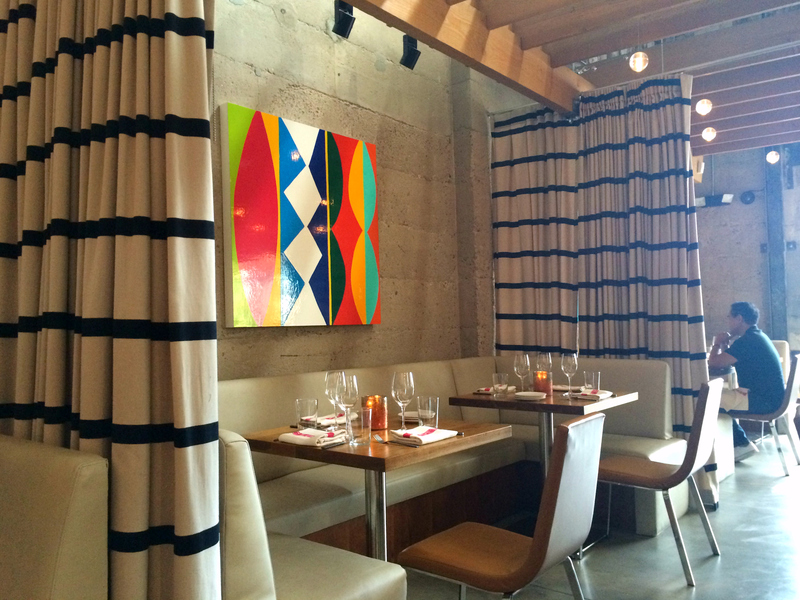 It was opened in San Diego’s Little Italy by acclaimed chef Richard Blais, winner of Top Chef All-Stars. When I read about it in a local magazine featuring a picture of the carne toast, I booked a table for that night. I had to have that toast. 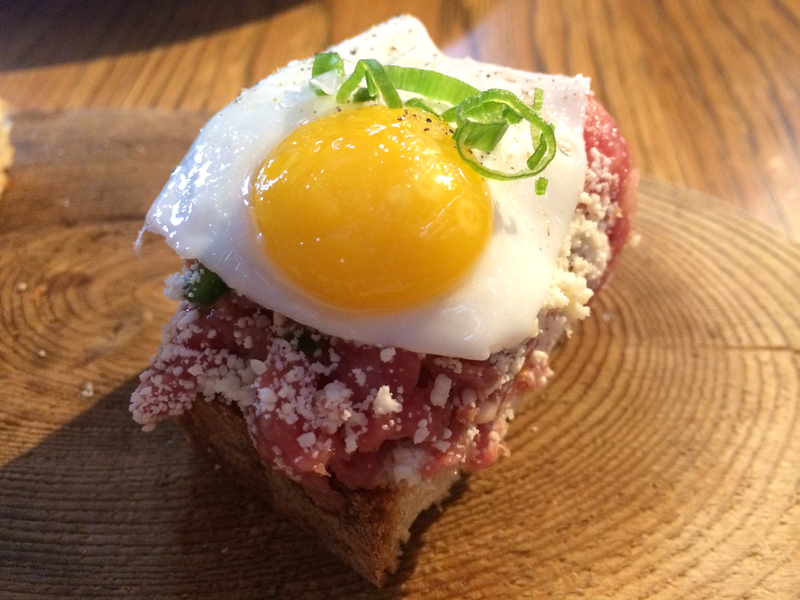 The steak tartar was delectably flavored, reminiscent of Japanese spicy tuna but with a rich meaty flavour. The crumbled cotija gave it a mild cheesy flavour. The toast was chewy, delicious, and quite generous in size – this alone would more than fill me up for lunch. The fried quail eggs with slivers of jalapeño were a genius touch, with one fitting prettily on each of four slices. The carne toast was as good as it looked, and literally every other dish we had was fresh, in season, beautifully presented, well-balanced, and fantastic-tasting (I will be posting more on this). Juniper & Ivy has made my personal top 5 best restaurants ever anywhere list, along with Guido’s Bar in Buenos Aires, Mas Tacos Por Favor in Nashville, Mizuna in Spokane, and Vij’s in Vancouver. Which restaurants would make your top 5 list? The photos are awesome. It makes me want to eat straight away! That is true the yolk is yellow and you can’t go wrong with bright colours. I love egg in photos too!